Meeting in Washington, D.C. for the International Electricity Summit, leaders from major electric power associations issued a joint statement calling for policy changes — particularly in electricity pricing strategies — that reflects “profound transformation” under way in the electricity sector globally. 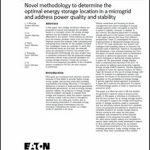 “At the heart of accomplishing the energy transition is the significant potential offered by the widespread deployment of smarter energy infrastructure around the world,” the statement said. The elements of improved infrastructure include microgrids, energy storage, grid hardening/strengthening, advanced metering, ubiquitous sensing and automation, cyber protection and hydrogen, the group said. These technologies “form the backbone of the evolving modern energy system and also facilitate the integration of renewable energy sources such as solar and wind potential offered by the widespread deployment of smarter energy infrastructure around the world,” said the statement. 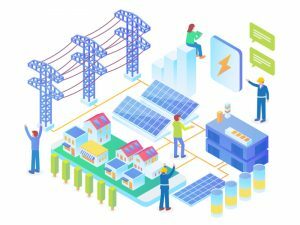 The organizations called for policymakers and regulators worldwide to recognize that vital benefits will flow to customers and society through policies that spur grid modernization. “We believe that customers must be at the center of the transformation,” said the associations that gathered for their 25th global summit. They added that challenges exist, namely paying for the new infrastructure, but said they believe the benefits outweigh the costs. To stimulate investment, electricity rates and regulatory policies must become more innovative and flexible, the groups said. In addition to EEI, whose members include all U.S. investor-owned utilities, those signing the statement were the Australian energy associations, the Canadian Electricity Association, Eurelectric (the association representing the European electricity industry) and the Federation of Electric Power Companies of Japan. 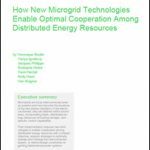 Track news about microgrids. Follow us on Twitter @MicrogridNews.